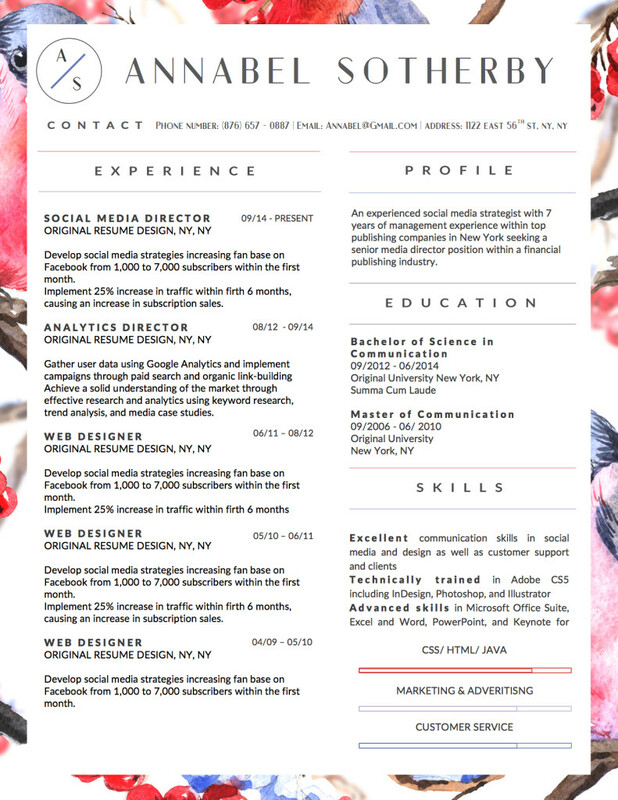 While our previous 4 templates fall on more feminine sides, we can’t assume that the only people applying for jobs in fashion are women. 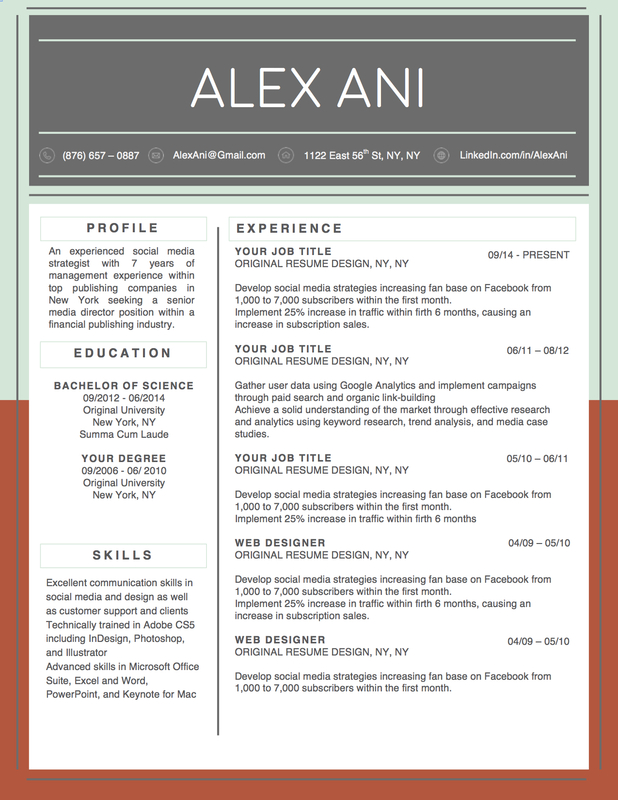 So, the Alex Ani resume template takes the stylish and modern spin with a more masculine side. 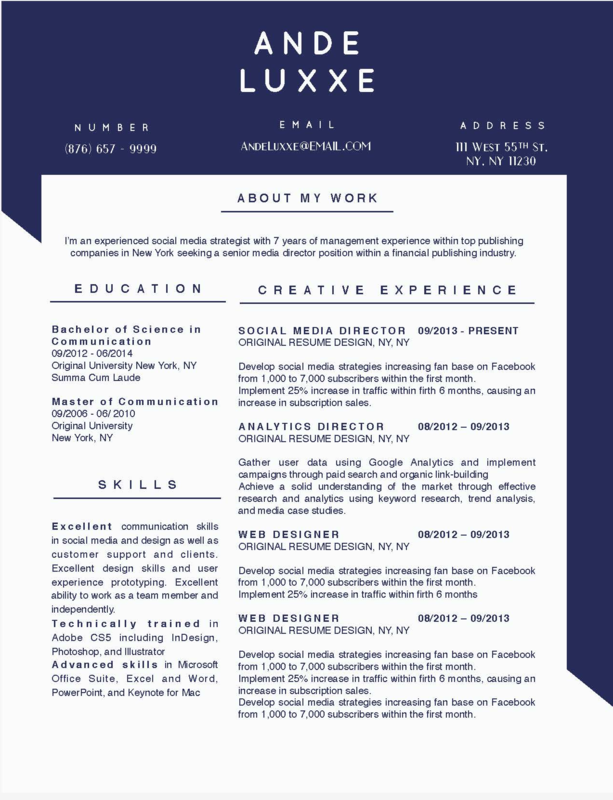 The colors are fully editable but the fonts and 2-column layout still maintains this resume’s “fashion worthy” category. 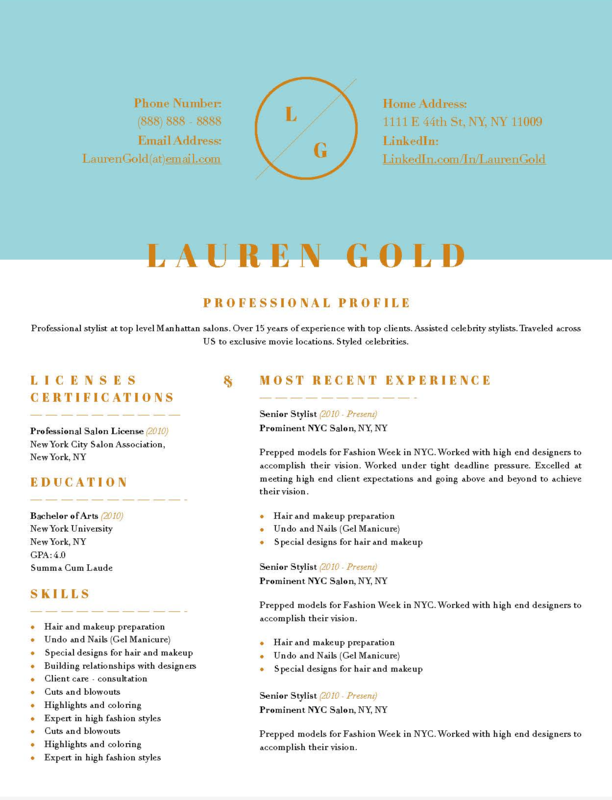 This resume template utilizes the empty space in the header with modern fonts and modern color scheme (fully customizable) to communicate that “I’m bold, stylish, and you need to meet me!” message. 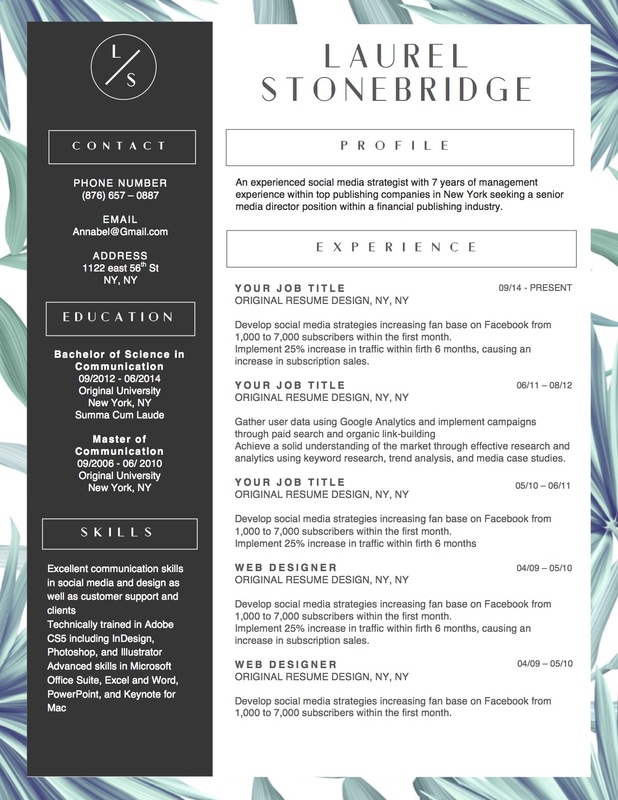 So, feel confident when editing this template that it will help you stand out in a stylish and unique way. 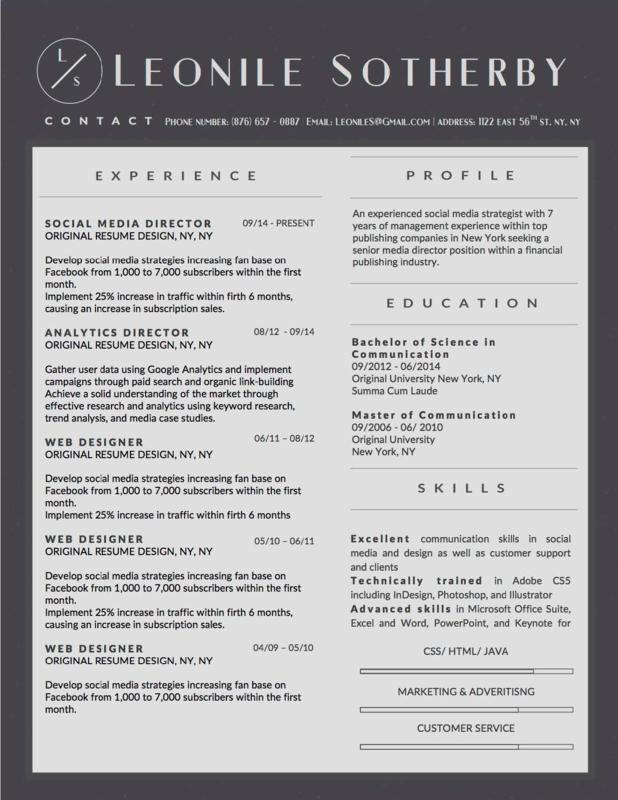 Leonile Sotherby resume design is stylishly masculine yet timelessly modern. The color scheme is completely customizable. For those seeking a plain black and white yet stylish and modern design, choose the Emily Watson template. It’s clean and minimalist but will make you stand out with its use of modern fonts. 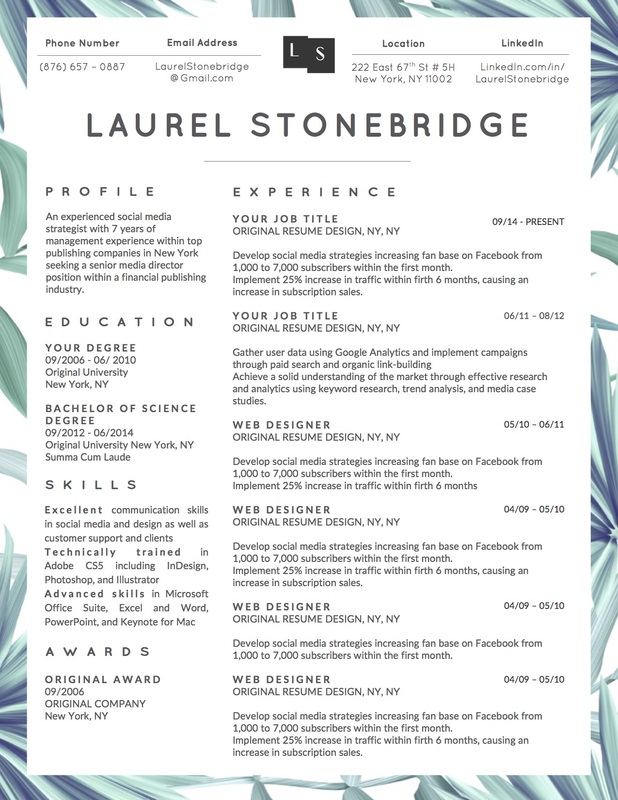 This colorful, yet beautifully stylish template takes a unique twist on a boring resume. 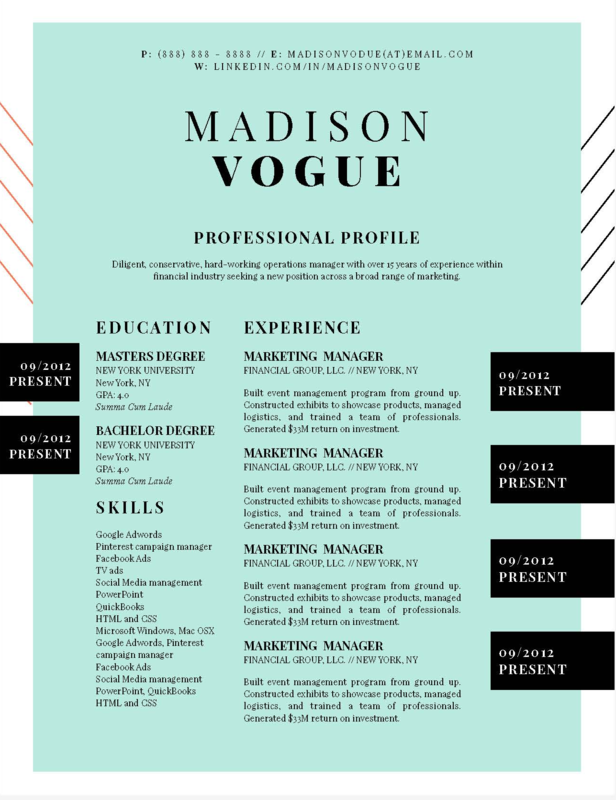 It’s fashionable background (customizable) and modern fonts with color combinations will have your interviewer give it a second glance without a doubt. 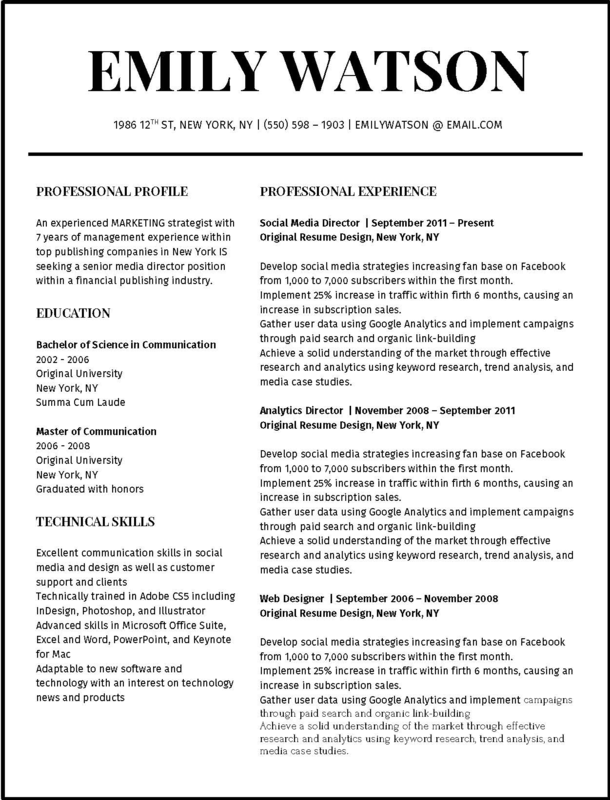 We want to change the way your interviewer looks at your resume. 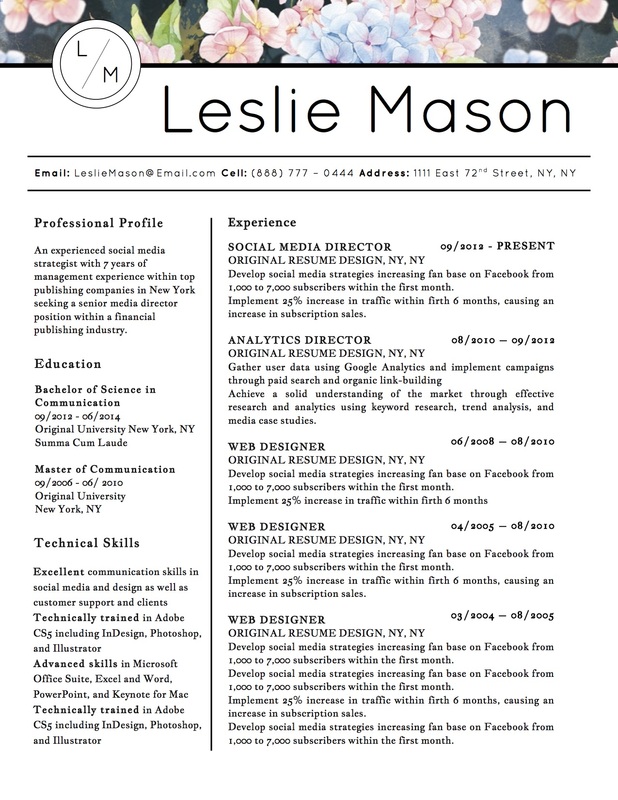 When you use one of our resume templates, you can count on standing out in a large pile of boring resume designs. Why not save time and get your foot in the fashion industry’s doors?